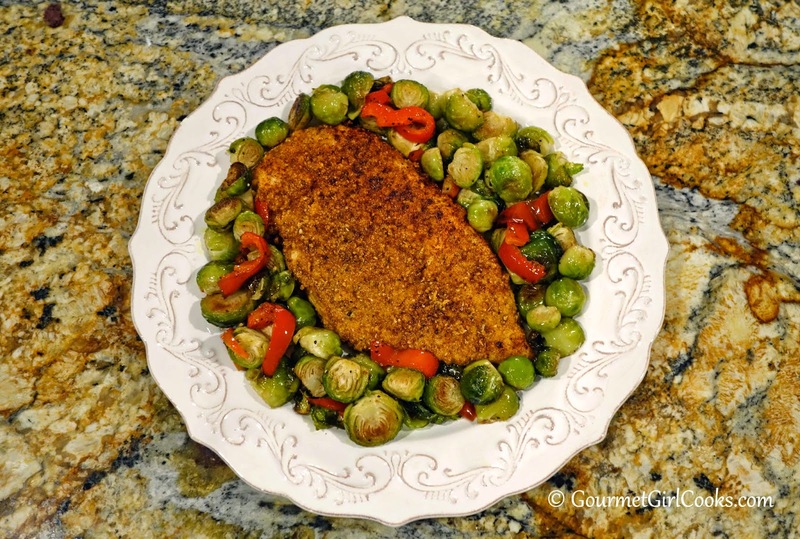 For dinner, I prepared a couple of large chicken cutlets that I dipped into egg wash and coated with a mixture of approximately 1/3 cup almond flour, 2 tablespoons flax and 2 or 3 tablespoons finely grated Parmesan cheese. I added a few good shakes of Italian seasoning and seasoned the cutlets with salt and pepper and some paprika as they browned in a skillet on the stove. They only take a few minutes on medium-high to get nice and golden. 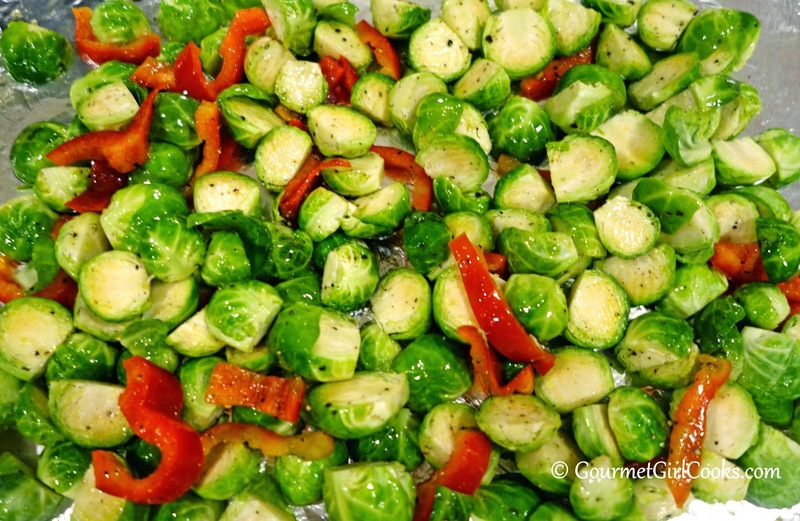 I also trimmed and halved fresh brussels sprouts and added in some sliced red bell pepper I had leftover in the fridge in olive oil, salt and pepper and roasted them at 400 degrees on a cookie sheet for about 20 minutes. 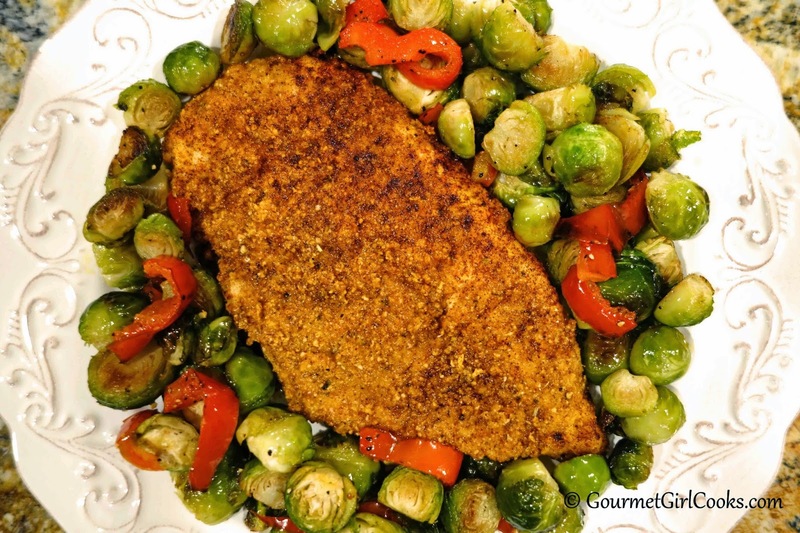 It was a quick and easy meal and it included my favorite brussels sprouts! After running errands and getting home late, I actually made a triple batch of my Cranberry Orange Sauce that is cooling off on the stove now. I actually bought another 4 pounds of cranberries tonight (2 pounds for the fridge and 2 pounds for the freezer). 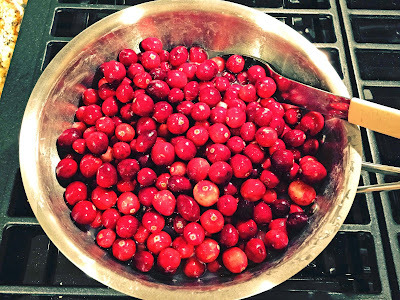 These were some of the largest cranberries I've ever seen. They were literally the size of big red grapes! I snapped a few photos of our simple dinner below. Enjoy! I can't believe you're as freezing as we are here ... it's 25 right now! You're braver than I am, though. I've been wearing my winter coat for the past several days! I heard the weatherman on the national TV news mention *Polar Vortex* twice in the same breath tonight. Here we go again?!?! I know...can you imagine close to a 50 degree drop in temps in just a few days time? Brrrr. I can't seem to get my feet warm tonight. Yessss! Wisconsin...that's where I'm from. And it's cold here too, Thermometer now says 11 above zero. We are supposed to get down to a -2 by morning. That chicken looks beautiful. Bet that coating could be used on pork chops as well. Roasted veggies go well with just about anything & are so easy peasy to do. Wow...11 degrees. I can't even imagine that, much less -2 degrees! Sunday Breakfast - Unconventionally Delicious!